My To-Be-Read List is constantly growing and changing. Here are some books that are currently on it. Are they on yours? Have you read any of them? Please let me know in the comments! The cover and the description are all you need to know why I want to read this book. A little girl is abandoned in a department store and found by an old lady who wants to help. They are joined by an old man who wants to learn to live again. They set out together to find the little girl’s mom. This book promises to be funny and really, really interesting. This book looks like a fun mystery with some soul-searching, some mystery, and lots of wit. Art auctions, mysterious paintings, some romance? Sounds fun to me. A story of women imprisoned in Afghanistan–of their friendships, their supposed crimes, and the life of modern, Afghan women. This book looks intense and sweet and amazing. This book was nominated for the Scotiabank Giller Prize and I need to read it. It’s Canadian and it’s all about the struggle of women to conform to our culture’s messed up beauty standards. It sounds difficult and heart-wrenching and wonderful. Katsa sounds like a female assassin, gifted from birth with the skills to kill. But that is’t quite the life she wants. How will her life change when she has, for the first time, a friend? This book sounds so intense. Crime? Murder? Who killed Anna and what did Alex do? 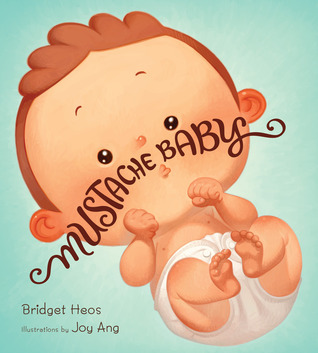 Baby Billy is born with a mustache! What more do I need to say? This picture book looks adorable and hilarious. This cover got me. And then I read the synopsis and I thought a little bit about Cinder (from Marissa Meyer’s Lunar Chronicles) and how this girl’s life must be like with a ticking heart, no friends, and the idea to build her own companion. A book about sisters and dreams and a magical show that might be more than it seems? Another book about sisters, along with sorcery, the power of love and the many faces of beauty. This sounds fun! Ooh oh oh! A House Without Windows is for sale at Costco. I don’t remember how much but I’ve been eyeing it every time I go through. Graceling was wonderful – I read it years ago but I need to re-read it. Apparently there is now four other books published in the series?! It’s so rare and wonderful when you find out you’re actually behind on a series instead of up to speed and waiting a millennium for the rest to come out..
I’ve recently added Souless (because Kristin’s review is a selling feature in and of itself, and she’s giving away the second book! ), Hollow Earth because JOHN BARROWMAN, and The Masquerading Magician because The Accidental Alchemist was just adorable (audiobook all the way)! The links work! And are oh so fun! Thank you. I’ve entered the contest, and checked out the other books. the Accidental Alchemist may be my next commute audiobook. Who was the narrator on the one you listened to ? Julia Motyka, and she did it perfectly! It’s an urban fantasy so not super action-packed or adventurous, but I loved Zoe’s character and how Julia read her, and how Julia read Dorian Robert-Houdin the French Gargoyle who hid in her shipping crate. Her voices for the teenagers in the book were spot-on too! It was just a super fun listen with interesting ideas and really yummy vegan recipes that were making MY carnivorous, Albertan taste-buds watering.